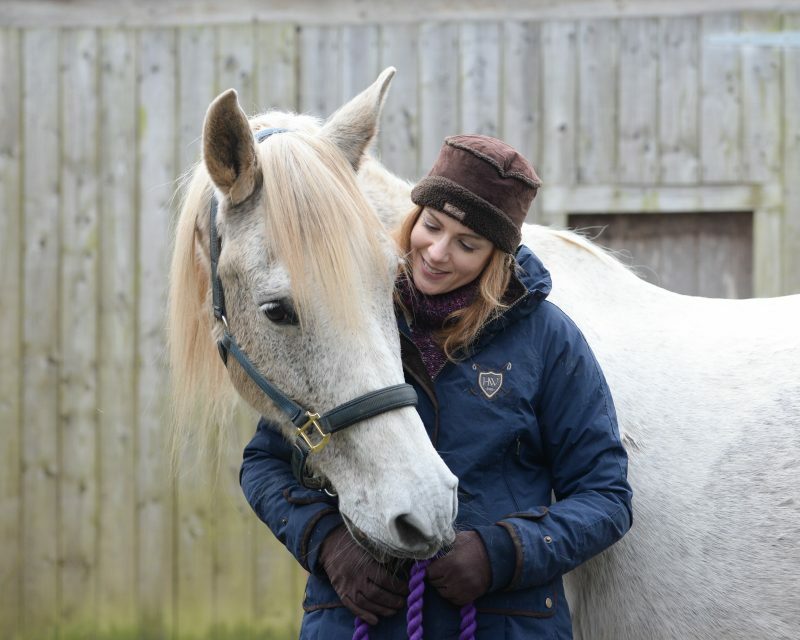 Over the last few years I have reconnected with my ‘special’ horse in a way I didn’t think possible and I put this down to the fact that I am a practicing clinical hypnotherapist. In each session with a client there is usually laughter and a sense of progress which is great to be a part of. Furthermore, if my client is a horse owner, that progress is often seen in terms of their relationship with their horse. I therefore have the privilege of having very special moments between a client and their horse being shared with me. Every time we share these good things with each other, we both benefit. As we recall a positive story or moment, we relive that moment and the person listening also imagines it in their own mind and in effect lives it too. As a result both the story teller and the listener receive a burst of feel good hormones which lifts our mood! Reflecting on the year gone by I have noticed that I have had far more confidence to listen to my horse, really listen. In the past I have anthropomorphised him and also questioned my own judgement despite knowing him for over 19 years, but as I have continued to calm my own mind I have been able to listen more clearly. I am now confident to say that I do know him better than anyone else, after all we have been together for a long time. Horses are herd animals so it makes sense that we can truly connect with them, just as they connect with each other. My special boy has a couple of health conditions which interact in an unusual way. The vet went so far as to say he was unique in their experience (! ), but in summary the end result is that when they impact on each other it affects his breathing. Having finally had the confidence to assert my concern that this is triggered by stress – whether a normal environmental threat or through his gut, the vet created a theory that made sense and together with my own knowledge of who my horse is I can say with real confidence that I can now help him and I do this by enabling him to slow his breathing down. The fact is that in theory I have always had this ability, but in reality you have to have unshakeable self-belief and belief in your relationship which used to falter in my case when I got stressed by him being ill.
We all know that a little stress can be helpful. That small hit of adrenaline keeps us focused and able to cope in a tricky situation, but too much stress has the opposite effect and as we start to panic, our ability to behave rationally or consider an intellectual argument goes out of the window! And of course I don’t need to tell you horse lovers how that impacts on our equine friends! If we feel stressed we don’t have to be showing it outwardly for our horses to know. As soon as we are stressed our horse will be wondering where the monster is hiding! Their primitive fight/flight brain, like ours reacts to ‘stress’ as if it a physical problem i.e. a mountain lion and so when horses senses stress they react in the best way they know how – get ready to run! As a horse gets stressed, they release their stress hormone – adrenaline which in turn increases their heart rate to get them ready for ‘flight’. However we can turn this on its head. Just as humans can use breathing to switch off our own sympathetic (fight/flight) nervous system, so we can use this as a tool to emanate genuine calm that our horses are able to sense. For example, when we are in a position to enable our horses to mirror our breathing, their parasympathetic nervous system (rest and digest mode) can be activated; their breathing and heart rate falls and they return to a calm state. This is why I love working with people who have horses as they are able to ‘measure’ their progress (for whatever issue they sought help with) in managing their stress levels as they are mirrored by their horse. When we are calmer, we can listen and our horses are able to connect with us and choose to do so as we become their safe place. When clients connect or re-connect with their horse it is magical. When you realise that having a genuine connection with your horse is possible, the positive experiences you can have together are unbelievably powerful. If you would like to improve your connection with your horse or you realise that your stress levels are getting in the way of enjoying your horse, then get in touch to book your FREE initial consultation with your local Inspired to Change hypnotherapist. Inspired to Change Hypnotherapists are based across the UK in Peterborough, Northamptonshire, Cambridgeshire, Leicestershire, Devon and Kent. NextHypnotherapy for Children – Can It Really Help?